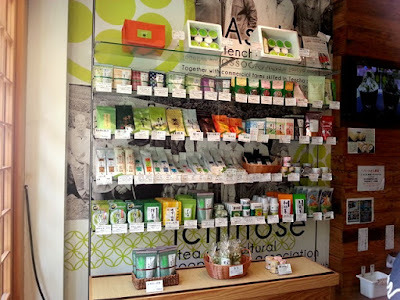 Nanaya/ななや is a Shizuoka-based tea company specializing in matcha infused sweets. 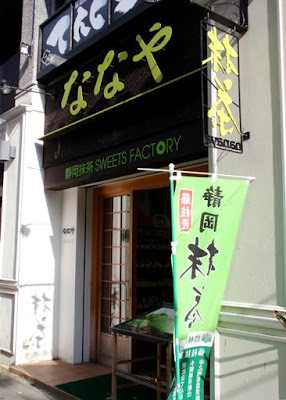 Nanaya has been producing tea in Shizuoka since 1988 and has shops in Makinohara and in Shizuoka City on Aoba Dori near Ryogae-machi Dori. 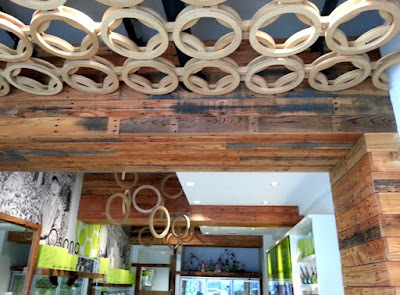 The tea shop has a modern flair with wood accents and their logo incorporated into the decor. 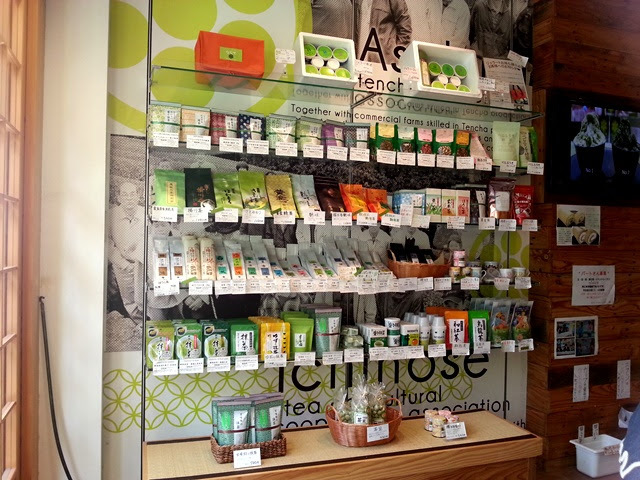 To the left of the entrance is a display of locally produced matcha and other tea products along with a video of the process used in making their famous matcha gelato. The main attraction at Nanaya is their incredible selection of matcha gelato. There are 7 grades to choose from with No. 1 being the lightest and award winning No. 7 being the boldest and least sweet. Other gelato flavors are also available, including hojicha, milk, strawberry, and black sesame. Since I could only visit Nanaya once, I took the challenge and tried No. 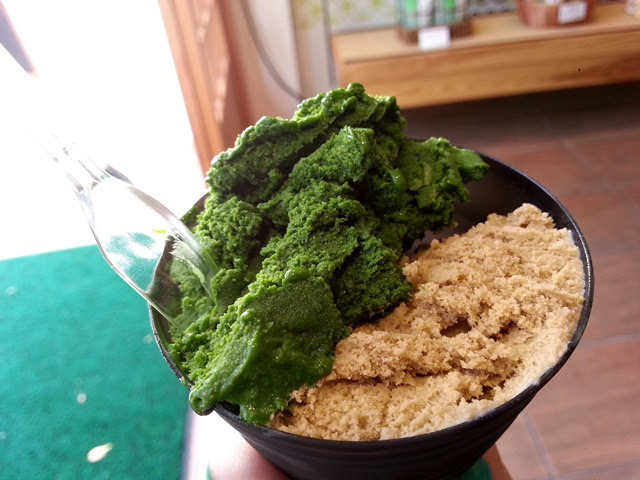 7 with hojicha. The flavor is similar to koicha (thick matcha) and perhaps a bit too strong for people who don't drink matcha regularly or have not experienced koicha. I had to eat it in small bites, letting the taste mellow out before taking another bite and in that way it was quite enjoyable. 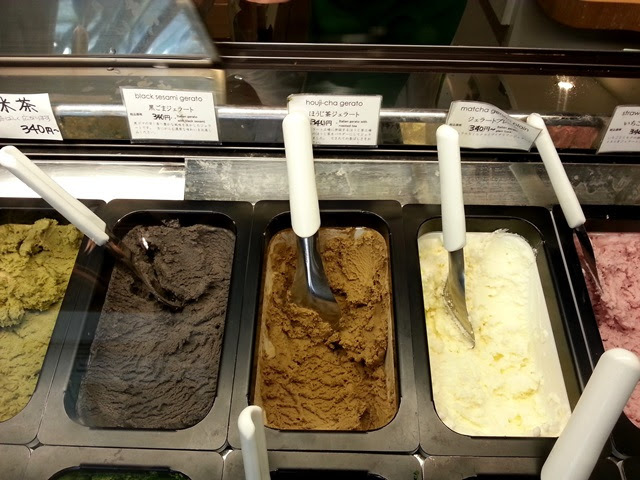 The hojicha gelato was also delicious!